How come if something like a volcano goes off or ahurricane wrecks a house its called an act of God? Wouldn't it seem more appropriate to call it an act of Satan? 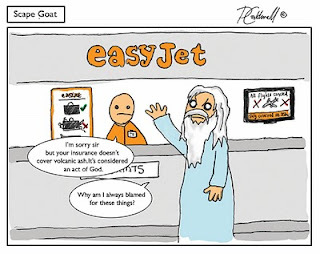 Or if it is an act of God would you not be able to sue God for damages? 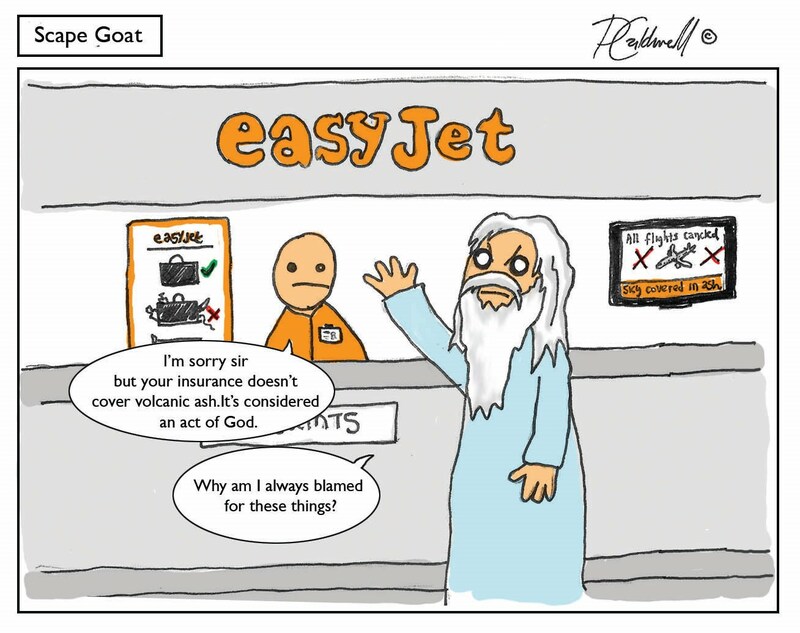 Also isnt everything an act of God? If some one crashes a car isnt God the one that let that happen by not interviening when he could? He could save insurance companys millions by just stopping all accidents..........my head hurts. Fun fact: 'scape goat' comes from times when people sacrificed goats as penance for sins and such.... aren't I just full of information?